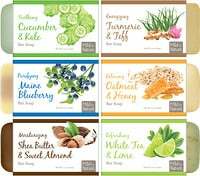 An immune-boosting trifecta! 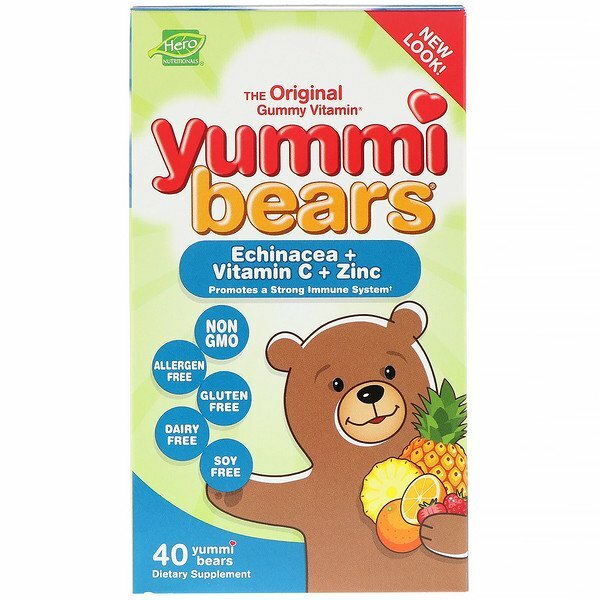 Yummi Bears Echinacea + Vitamin C + Zinc helps to provide complete immune support. As a dietary supplement, parents may give each child up to four (4) bears per day. Best if used for 10 days on and 10 days off. 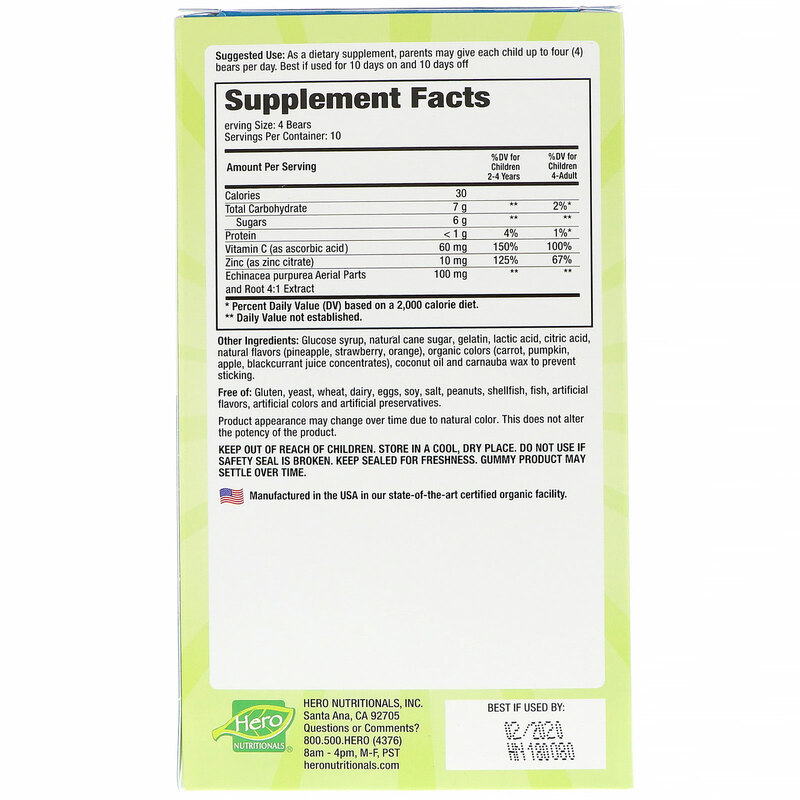 Glucose syrup, natural cane sugar, gelatin, lactic acid, citric acid, natural flavors (pineapple, strawberry, orange), organic colors (carrot, pumpkin, apple, blackcurrant juice concentrate), coconut oil and carnauba wax to prevent sticking.